I'm still recovering from the whirlwind weekend in St. Louis. 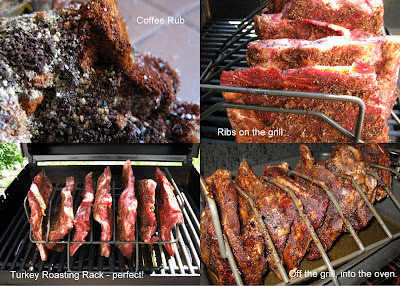 Here's a photo of the smoked ribs - recipe and story to follow! I hope that you are enjoying the blog and are creating fun meals in your kitchen too! If you have a minute, leave a comment and say hello. It's fun to see where all the readers are from and hear what you think! I can't wait to read more about the ribs! That's something we haven't tackled here yet.